In my seven years of experience prior to my MBA, I worked as a software developer. The grass was greener on the other side. Often, I used to think how my boss was lucky. He would only have to give us orders and not really think beyond that. It was us, at the junior levels who were treated as resources and made to slog. 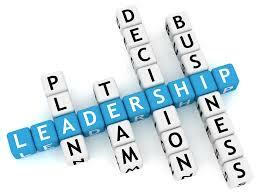 During my MBA classes, there was a lot of focus on leadership, traits of a great leader, etc. We had CEOs come in and share their experiences. We had sessions on organizational behavior which taught us the importance of right and appropriate structures in an organization. The 7S models, Porter’s framework, fundamentals of matrix organizations were almost part of our daily routine. Yet, it was only when I actually started working as a ‘mid-level’ manager did I really appreciate the challenges of leadership. Having almost a daily interaction with the CEO of the company made me understand business from a holistic. Over the period of six months, I have gained valuable insights in the area of people management. I have learnt that people are the most important building blocks of an organization. It is not about just hiring the right ones but also how well you groom the people working with you. I am trying to share here, some key learnings on how to succeed as a leader. I hope the readers of this article are able to gain out of these second hand experiences. Are you being a micromanager? You have given a task to your sub-ordinate, but have you given him the flexibility to decide the best way to execute it? In context of some of my own experiences, if I have given someone a task to make a display banner, am I micromanaging to the level of chosing the image, writing the text? If I have given someone the task of deciding a new web page, am I monitoring to the extent of changing the color of the buttons I want? Do you monitor when is he sitting on his desk, when he comes and goes out? Too much micromanagement wastes your time and makes your sub-ordinates lose confidence and become dependent on you. It does not pay off in the long run. You are a good boss if you prefer giving them the flexibility to make a few mistakes in the first few attempts and learn from it rather than being fearful of mistakes and suffocating them. Are you a boss I can walk up to for anything? Are you a robot? Is the case that all the interaction you have done with your team is work related? Have you ever shared a joke with them, wished them on their birthdays, complemented them for a nice dress? Have joined them over a regular coffee break? If an employee has taken a sick leave, do you bother to ask him about his health? Simple things but go a long way in establishing the connect! You are a good boss if your employee walks up to you for sharing his personal achievements, challenges. Do you tell your team what is the end objective of what am they are doing? You have asked your technical team to fix a bug. It impacts your customer experience. Fine. But the person sitting and doing the coding may not have that perspective. He may think that we should not fix it as the fix is a high level effort. You want him to honor deadlines. You expect him to work on weekends. But does he know what the company stands to gain out of his extra efforts? Many a times people at the junior levels may not understand your vision, business objectives of the company. His perspective might be myopic in terms of what is the level of effort involved. You are a good boss if you share those..
Do you really understand the aspirations of your team? After you do (3), it should be 360 degree. Your team members have their own aspirations out of this job. For some it is money, for others it may be career growth, for still others it may be simple appreciation on achieving milestones. You are a good boss if you understand the person’s expectations/aspirations/motivations as well. It works both ways. Are you aware of what all the person is involved into? In matrix organization, when one has multiple dotted line reporting, there may be other projects/tasks which the person might be involved in, without even your knowing that. With each boss giving his/her own deadlines and task list, the person gets confused and frustrated. You are a good boss if you have that visibility. You will be better able to help him prioritize stuff. Are you a ‘Yess Boss’ types? If you yourself cannot make decisions and go back to your own boss in a confused state, asking him to make the decision; there will not be much your team members can learn from you. They might get the feeling that what is your need then. You are a good boss if you can make decisions. Do you stand by your team when they need you? Do you take ownership of failures? Or do you act as a bystander when your team member fails to deliver? Your team members see you as a wall and hence when it comes to defending some of their decisions, you should take the lead. It pays off! Have you created the right structures and systems for me to work? I am a sales person, but the system that I have been given is too slow. I am a finance person but a lot of my tasks are too be done manually just because you have not invested in IT solutions for automation. I report to you but get directions from several folks. I need to ask someone else to deliver when that someone else has no reporting whatsoever to me? Do you guide me in all these scenarios? Do you make my life easier by getting the right systems in place? In the end, its all about PEOPLE and PEOPLE! After reading this blog. I definitely understand where your comparisons are coming from. ;).